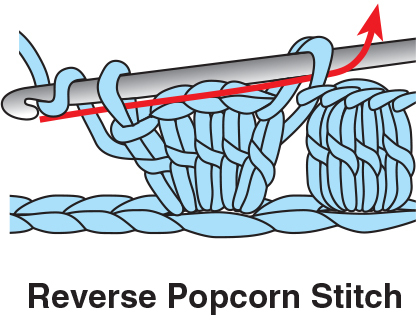 The reverse popcorn stitch can be created with a varying number of stitches in the work. 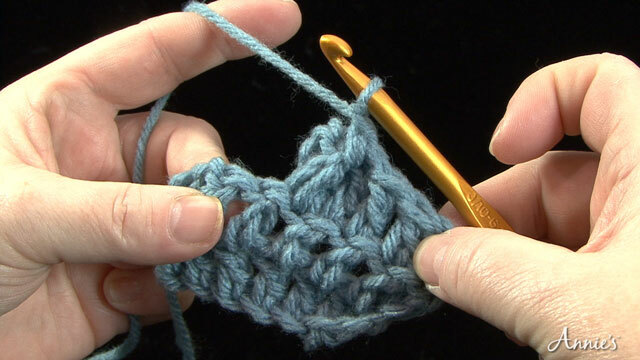 Follow the instructions for the number of stitches used in your pattern. To work reverse popcorn stitch in this version, work as follows. Reverse popcorn (reverse pc): *[Yo, insert hook in indicated st, yo, pull lp through, (yo, pull through 2 lps) twice], rep from * 5 times, drop lp from hook, insert hook from back to front through top of first st made, place dropped lp on hook and pull through st, ch 1.